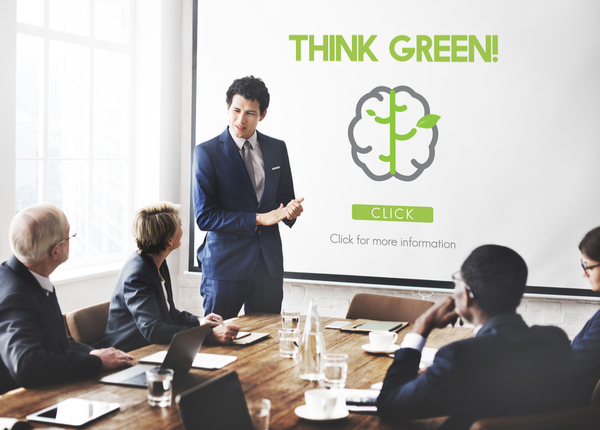 Whether you have just started or been running your business for a while, you could consider going green as your attention-grabbing movement. When your company declares as the green with responsibility, you will not only received good feedback from your customers but will also have financial attainments from it. But going green is not an overnight procurement or so. Your business needs to undergo few processes until it can go green. Well first things first, your business actions need to comply all the regulations that are linked to your business. The compliance that we meant does not only convey your environmental footprint but also keep your business away from fines or legal actions from the authority. To minimize your company’s footprint, you could discuss the green strategy that you will implement inside your company. Learn as many as green business practices as you can and encourage each division to do the as you say. The focus is to enhance the environmental-friendly places and practices in your company. If you are starting your new project, it is a great idea to include energy-efficient features in your building or workspace. For instance, consider installing energy-efficient AC systems, lighting, etc. You can find these services and products anywhere. Even the conventional home improvement stores already offer the energy-efficient appliances. So, you won’t see any difficulties to take this into the action. Your company needs supplies. Here is the pivotal point that needs to be considered. Think green when you get your supplies. Consider getting the supply items with products that are made of bio-based, non-chemicals, or recycled materials. When it comes to your website, you could choose web hosting provider which has green actions. For instance, a reliable web host is one which claims to be carbon neutral. When explained in details, they will proclaim that they use environmental-friendly power sources like wind-powered sources or solar-powered sources. If you are about to migrate your site to the new web hosting provider, they will gladly help you. Water efficiency movement is also one of the most crucial aspects of going green. While encouraging people to save more water can be challenging and daunting. You could start with the easiest one. You could purchase the water-saving equipment utilities which can control the discharges to sewers and minimize the wasteful use of the water. To improve your brand awareness, you could also propose the green claims in your marketing campaign. The public will give the positive feedbacks when you proclaim your business to be going green. As long as you maintain your actions, your company and brand image will be just fine.